Crankshaft oil is used to reduce the metal-to-metal contact inside any engine to minimize friction and reduce damage. Automotive engines are more prone to wear and deform in the moving parts. Therefore, lubricant oils remove the small particles, dirt, and other impurities present in the automobile fuel. There is a huge demand for crankshaft oil in Asian economies such as China, India, South Korea, and Southeast Asian countries due to evolution in automobile industry. China is the largest producer of automobiles in the passenger and commercial vehicles category followed by India. The increasing sales and production of automobiles in India, China, and Indonesia are expected to contribute to the growth of the crankshaft oil lubricants market. It was estimated that India and China are the major consumers of energy resources due to industrialization and modernization. Despite the availability of renewable energy resources, Asian countries account for larger share in the global oil and gas sector. Asia is home to one of the largest oil consuming nations and depends largely on other nations to satisfy its energy needs. Like any mechanical system, moving parts in automobiles, compressors, fans, blowers, shakers, thrusters, valves, crankshafts are the few among other equipment in automobiles that need proper lubrication to function optimally. The risk associated with automobile system failures will increase dramatically that is resulting in increased demand for specialized lubricants. 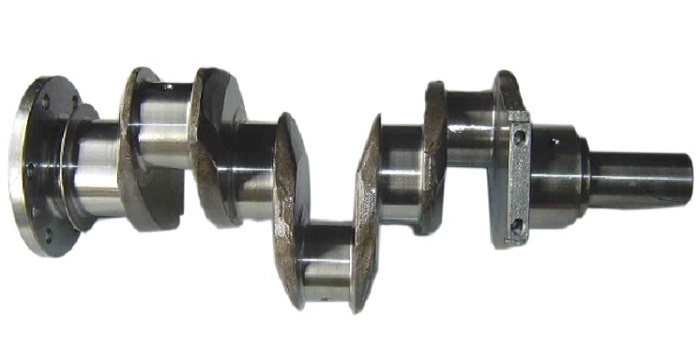 According to the study “Asia Crankshaft Oil Industry Situation and Prospects Research Report”, steel is a preferred material in the manufacturing of automotive crankshafts due to its efficient properties such as better performance in compression, tension, and shear. It was observed that there are major technological advancements in the manufacture of crankshafts used in automobiles. Traditionally, crankshafts are manufactured using cast-iron due to its strength and horsepower. Majority of the Asian automotive parts manufacturers are using CNC technologies to manufacture crankshafts with great precision for medium and high-end racing engines. They are made lighter and smaller while the use of flat plane crankshafts is increasing due to its light weight and smaller size compared to cross-plane crankshafts. Various product types in Asia’s crankshaft industry are liquid type and semi-solid type. Crankshaft oil is utilized in automotive industry, ship building industry, and other industries. Asia’s crankshaft oil industry is spread across China, Japan, India, Korea, Saudi Arabia and other regions. The leading players in Asia’s crankshaft oil industry are NOK, Freudenberg, Parker Hannifin, EATON, Trelleborg Sealing Solutions, SKF, Garlock, FNOK (Simrit), NIPPON VALQUA INDUSTRIES,LTD, SAKAGAMI, Timken, Zhongding Group, NAK, Shanxi Fenghang, KOK, Qingdao TKS, DUKE Seals and Qingdao Northsea. All the leading vendors are increasingly focusing on creating strong brand names, offering well-established products, and exhibit long-term reliability. The vendors are increasingly competing against each other based on factors such as price, features, and product quality. Asian economies are emerging as automotive hubs, which are expected to drive the demand for crankshaft oil market. China accounts for a major share in terms of consumption, production of automobiles and auto refinishes. Therefore, increasing urbanization and supporting governmental policies are anticipated to boost the demand for automobiles coupled with crankshaft oil market over the next few years.